Bosch is seeking to acquire the Australian Pacifica Group to bolster its international brake business, and is making a cash offer of $A1.92 per share, which it says is a 22% premium over the volume weighted average share price of $1.57 since 29 August, 2006. The offer represents an estimated transaction value of approximately EUR300m ($495 m), including assumption of Pacifica's existing net debt. The transaction is subject to various conditions including approval by the antitrust authorities. Another condition is that Bosch acquires a relevant interest of more than 50% of Pacifica's shares on issue. It is envisaged that a bidder's statement will be lodged with the Australian Securities and Investment Commission within two weeks. The Pacifica Group is a leading manufacturer of brake calipers, parking brakes and brake components for the automotive equipment and spare parts business. In 2005, the company generated sales of roughly EUR480m ($800m), and employs around 2,000 people at 12 locations around the world. "With the acquisition of the Pacifica Group, we want to bolster our brakes business, above all in the Americas and Asia Pacific. 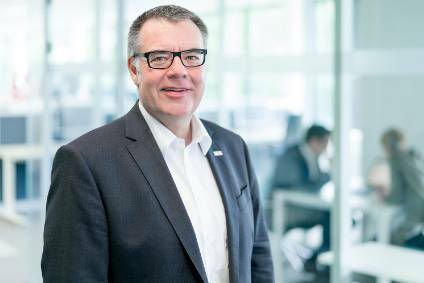 In addition, our know-how in systems development and application complements the Pacifica Group's component-manufacturing depth," said Bernd Bohr, Bosch board memeber and chairman of the automotive group. "Pacifica is a key supplier for Bosch. We believe that this cash offer will help to secure the future of Pacifica and is in the best interest of its shareholders", Bohr added. In 2005, Bosch generated sales of some EUR4.8bn with its braking systems business, which employs more than 18,000 worldwide.